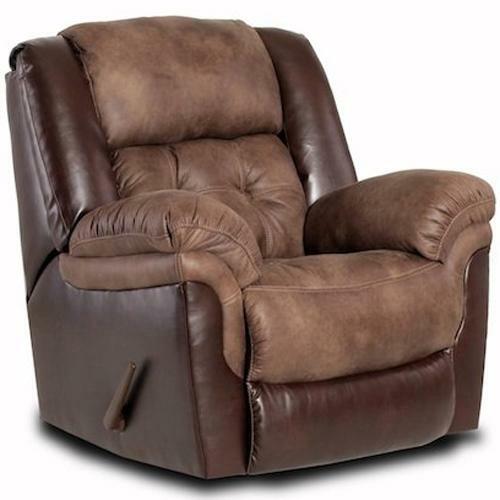 Relax in casual elegance with this plush rocker recliner. Tufted split back and tufted seats adds plush softness that will cushion you like a dream as you sit and unwind after a long day at work. Put your feet up and recline with the easy to use recline mechanism for optimum relaxation. 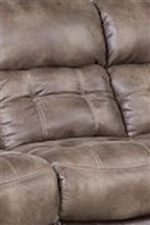 Two toned polyester gives it an elegant look while the pillow top arms still keep the casual feel. Feel the worries of the day pass you by as you unwind in this casual rocker recliner. 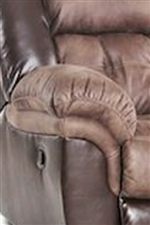 The 139 Casual Rocker Recliner by HomeStretch at Royal Furniture in the Memphis, Nashville, Jackson, Birmingham area. Product availability may vary. Contact us for the most current availability on this product.